General Description: Welcome to Mar Á Vista Apartments in Praia da Rocha. The hotel is located 400 m from the sandy beach. 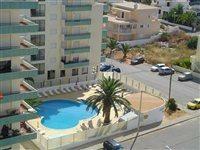 The closest cities to the hotel are Lagos (20 km), Portimao (3 km) and Albufeira (30 km). To make your stay more comfortable a reception..
General Description: Welcome to Mar Alvor in Alvor. The hotel is located 700 m from the sandy beach. The closest cities to the hotel are Alvor (500 m), Lagos (25 km) and Carvoeiro (25 km). To make your stay more comfortable an elevator is available. 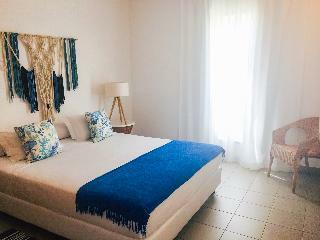 The..
Mar e Serra Apartamentos is located 2 km from the centre, 8 km from the Arade river and 3 km from the beach.Complex amenities include a swimming pool, elevator and parking. The apartments are equipped with satellite TV, coffee/tea maker, balcony, telephone,.. Located in an exceptional area of Vilamoura, only 800m away from the Falésia beach and 150m away from the Vilamoura Marina. Several shopping and entertainment options. 1 and 2 bedroom apartments, decorated, with swimming pool and wide green areas. General Description: Marina Club I in Lagos has 18 rooms, spread over 3 floors. The hotel is located 800 m from the sandy beach. The closest city to the hotel is Lagos (1 km). To make your stay more comfortable air conditioning is available. The staff..
Marina Club I Apartments are a set of 2 bedroom apartments located within the Marina Club Lagos Resort. The resort is located right opposite the Marina of Lagos, close to many restaurants, and within walking distance to Lagos city centre.This is a modern.. The hotel is located at the Marina de Lagos, one of the most attractive harbour areas in Europe. The beach and the city centre is around 10 minutes away by foot and Faro International Airport is approximately 80 km from the hotel.This city hotel, which..
New Apartments type T1 and T2, modernly decorated. Situated on the latest Marina in the Algarve, enjoy a nice view and a vast shopping and dining differentiated. With the beach about 3 km, this is an excellent opportunity to enjoy an unforgettable holiday..
General Description: Marina De S. Roque in Lagos has 33 rooms, spread over 3 floors. The hotel is located 1 km from the sandy beach. The closest cities to the hotel are Portimao (20 km) and Lagos (2 km). To make your stay more comfortable a reception..